Reports are coming in that the Tommy Robinson case has been adjourned. 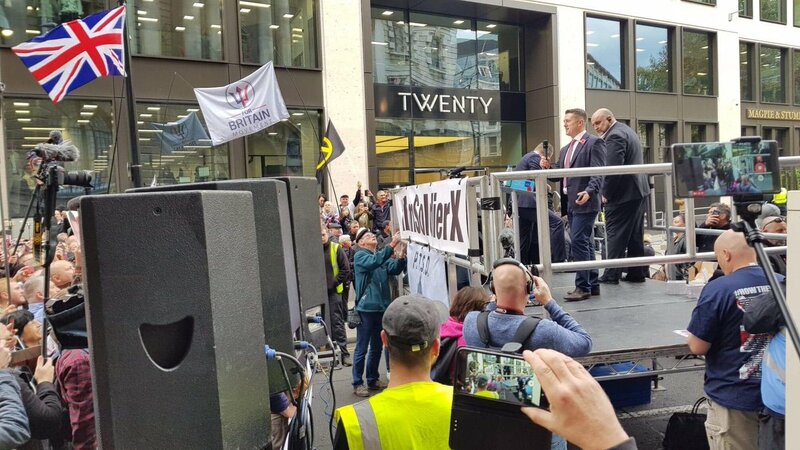 In the history of the Old Bailey there has never been as direct a challenge to the court’s symbolic authority as the scenes today, with Robinson being allowed to speak from a stage outside the court to well over 1000 followers (on a weekday…) before going into court. His supporters pack into the narrow streets, as he calls for a revolution against journalists, against liberal society and the existing state. Their chants are heard in the courtroom. Just down the road – anti-fascists stood sheltering behind barriers.